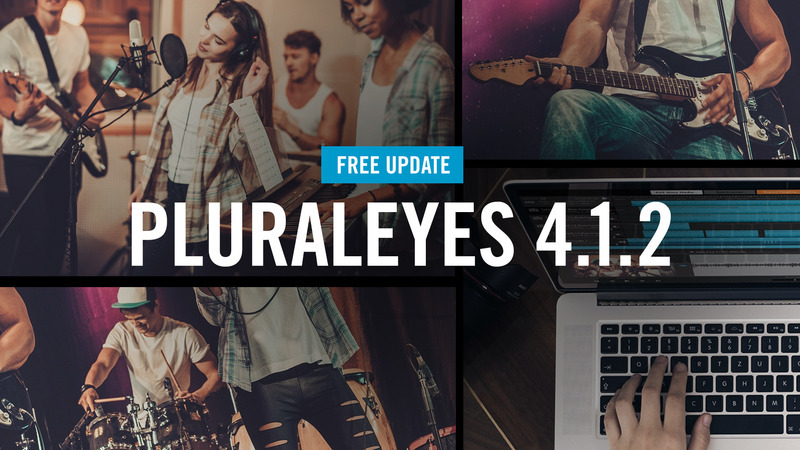 Along with the free updates from Red Giant to ensure all their current products are Adobe CC 2017 compatible, they've also just released an update for PluralEyes which includes new features and bug fixes. New Track-level Sync Options – Two new options have been added to the the track context menu to provide better manual control of sync behaviour when needed: “Allow Sync to Change Clip Order” and “Allow Sync to Split Tracks.” By default they are set automatically based on PluralEyes’ analysis of the files, but the user can override the automatic setting. Better support for audio recording file naming, which can include a suffix that specifies the audio source e.g. The ZOOM H4N will add an “I” or “M” character to each file when recording in 4 channel mode, to indicate which of the two stereo inputs the file comes from. PluralEyes 4.1.2 now detects such cases during the sync, and splits them onto separate tracks. Better support for audio recorders that place each audio clip in a separate folder (e.g. Roland R26, ZOOM H5, ZOOM H6). Previously PE4 would incorrectly split these into separate tracks, with one clip per track.